Brick-and-mortar retailers are more apt to grow and maintain a loyal customer base if they invest in the digital experience they offer shoppers both online and in-store, according to the Riverbed Retail Digital Trends Survey 2019. A vast majority (89%) of respondents say a positive digital shopping experience impacts brand loyalty just as much as their prices, and 79% believe brick-and-mortar retailers have a short, three-year window to provide shoppers with strong digital experiences in order to remain competitive. This is significantly higher than what retailers said in Riverbed's survey last year, with 47% of retailers believing they only have three years to deliver a compelling digital shopping experience to stay competitive. This study reveals that it's essential to provide consumers with engaging online and in-store digital experiences if brick-and-mortar retailers want to remain relevant — or risk losing their business. This doesn't mean retailers must invest in every new technology that comes along, but they do need to find the sweet spot that lives at the intersection of technology and consumer expectations, as well as having the underlying infrastructure to support these digital initiatives and ability to measure and manage the customer's digital experience. ■ 25% - Interactive features that allow consumers to design or customize outfits, room designs, etc. The digital experience for consumers doesn't start and end online, as consumers want brick-and-mortar retailers to offer in-store digital services and features that enhance the overall shopping experience. 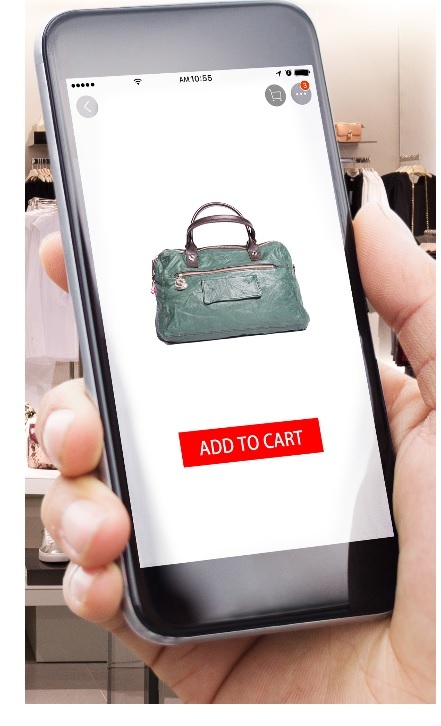 The most popular digital offerings that consumers typically take advantage of while shopping in-store include in-store Wi-Fi (34%), using a store-specific mobile app (27%), opting for digital receipts via email at check-out (25%), and using third-party mobile apps for things like digital coupons, discounts or price comparison shopping (22%). Using ordering kiosks and in-store virtual assistants rated lower at 14%. There are also a number of geographical differences. For example, in the US, automated checkouts came in at 44%; in Germany, "smart shelves" ranked highest at 33%; and Australians at 27%, are more likely than American or German consumers to shop for the first time at a retailer as a result of a pop-up store.